For 30 years, aabalone[red] has delivered differentiation to investment and wealth management firms – so they can compete more effectively, go to market creatively, and harvest web technologies to service clients and grow their businesses. For its 10th anniversary, an advisory firm desired a more celebratory and sophisticated site. With a new fund raise approaching, a private equity firm was concerned that their message and image were diffused and sub-standard. A “start up” sought to fill the need that existing social media sites lacked – complete control of one’s digital imprint. A successful global alternatives asset manager needed a refreshed brand identity and a new, more "with it" website. In keeping with our mission to partner with start-ups, not-for-profits and for-profit firms working with conscience and intention to better the world in some fashion -- it’s been satisfying (and fun) to be engaged outside our category in applying best practices brand building to the world of ecological stewardship. 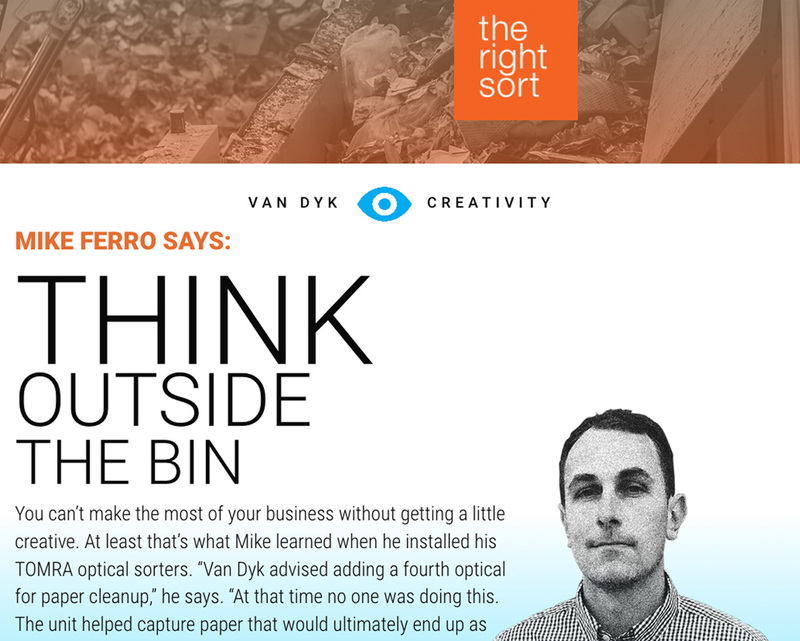 A market front-runner, Van Dyk Recycling Solutions decided to go the whole nine yards in leveraging perceived strengths that were surfaced during our Discovery: intelligence, innovation, congeniality and high ROI as a recycling solutions provider. So, a bold, flexible branding line was crafted to ground the new positioning and address some of the problems that fresh communications would seek to overcome. Deliverables included a comprehensive print and online advertising campaign designed to deliver meaningful data (made good friends with Google Analytics Campaign URL Builder in the process) and tied to a microsite. As well, redesigned tradeshow displays were produced alongside a comprehensive set of brand guidelines and graphic templates for all elements of the campaign, so as to empower Van Dyk’s in-house marketing team.